Furniture is a utility but it can be so much more—it helps to create give the interiors a distinguished persona. While bar furniture demarcates & establishes dedicated bar space, dining accent furniture infuses welcoming, warm aura while living room furniture adds to the overall décor. When you want to express your individuality, choose from our vast collection of the finest furniture items. From benches that provide stylish seating to minimally designed coffee tables, and loveseats, we are the leading online providers of designer furniture. 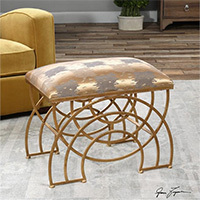 Punctuate your living and dining spaces with tables, stools, benches, cabinets, chairs, chests, drawers, and etageres procured from leading furniture makers, including boutique stores and brands with a global reputation. 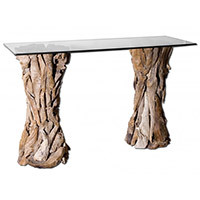 Whether you want intricately latticed wine tables, exotic items made from weathered, seasoned hardwoods, or those with special finishing options, we have furniture options for your space-saving, storage, and aesthetical purposes.